When you are designing your collection, you need to assign style numbers to each design. The style numbers help you identify the specific garment. When you are a small company it is easy for you to keep track of every style and its specifics. 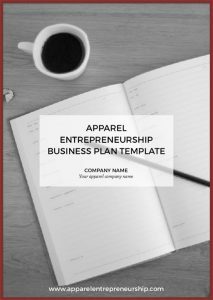 But as your brand grows, you add more styles, create carry-over styles, new collections, and new coworkers, you will need a system for everyone to identify all different garments. The style numbers are not only for you and your brand coworkers. The style numbers will help you to better communicate with your retailers, agents, distributors, suppliers, pattern makers, and everyone else you are working with. It is better to use style numbers instead of style names when you are communicating with partners since not everyone speaks the same language and use the same letters. Therefore your style names may not make sense to them. The most important reason to introduce style numbers is for your own logistics and inventory management. You need a system in place in order to easily manage your garments in your stock shelves. Start by creating a number system that is consistent and that will function for you when you grow and expand your collection. It is your brand, and you can create any number of system you want for your garments. There are no certain industry rules you have to follow. It is important that you create a thought-through system early on so that you don’t have to go back and change everything when the product development is in full progress. Here we will go over a style number system that we have created. You are more than welcome to use it and adjust it to your brand’s needs. In our case, this would mean the brand’s first woman’s tights in color black. How? Let us explain the system. In our example, U=3, meaning it is for women. Yes, we are currently only making clothes, but we soon want to expand into shoes and bags as well. Therefore we have already listed these types in our system. In our example, V=1, meaning it is a garment. In our example, W=3, meaning it is a base layer, the garment closest to the body. In our example, X=2, meaning it is a bottom. We have pants, shorts, and tights in our collection. You can easily add on specific subcategories for these if you prefer. YYY means style number and you can have 999 styles in each subcategory. That will last a while for you. If you are worried it isn’t enough you can always add one more Y:) We start by giving our first style in the subcategory the number 001, and then we add on. This will give an indication of how early in your brand’s history the style is created. In our example, YYY=001, meaning it is the first style in the subcategory bottoms. Each garment style can come in different colors. Create your own color code system. You can, for example, have white and beige colors in the range 0000 – 0999, yellow colors starting at 1000, red colors starting at 2000, and so on. You can also adapt existing color codes from your supplier, in order to keep it simple. However, adopting the code system from one supplier can be confusing when you change supplier. In our example, ZZZZ=9999, meaning it is our darkest color: black. 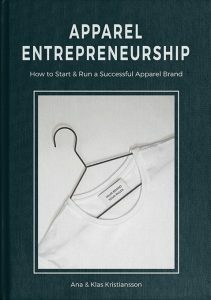 a Profitable & Successful Apparel Brand.